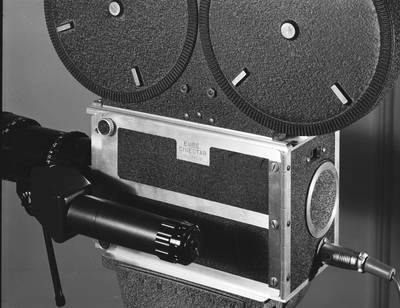 CMBE Cinestar Camera – Hollywood, 1960. Prototype camera designed by Eric Berndt. BW film negative; 4" x 5"